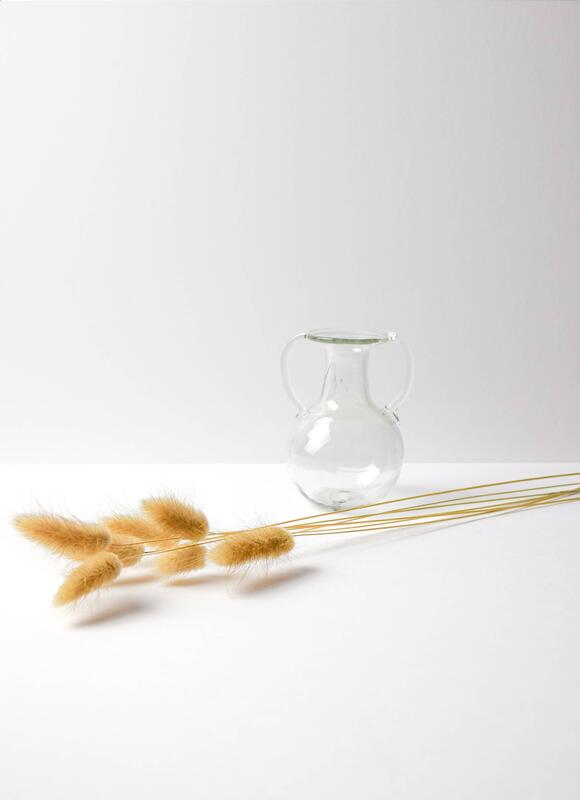 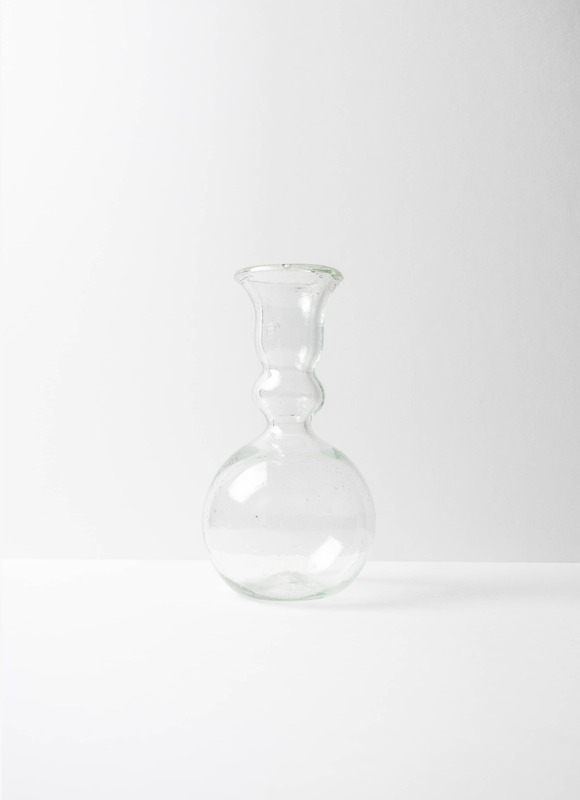 The Bagno two Anses is a small, round bellied vase with two small handles. 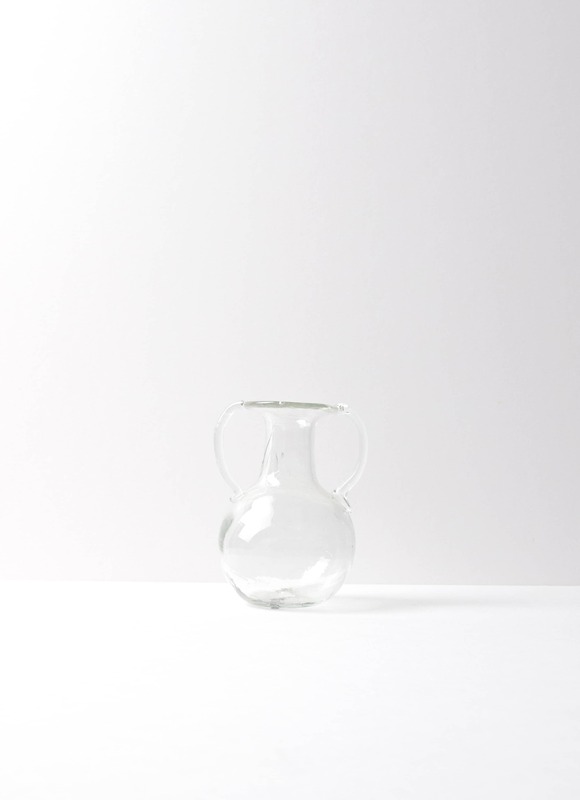 It is a miniature version of the ancient water holding vessels in the Italian Bagno or bathroom. 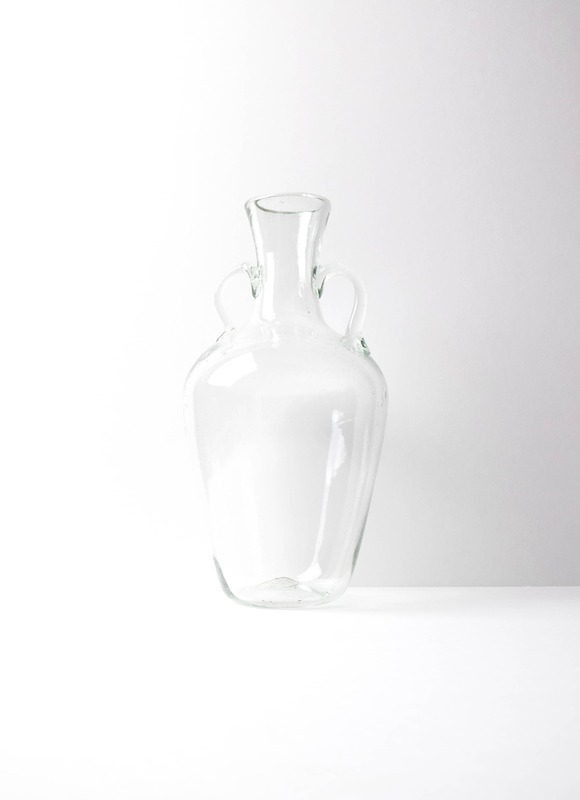 Hand blown original design from recycled glass using traditional artisan techniques.